Andrew Ganz December 18, 2017 Comment Now! 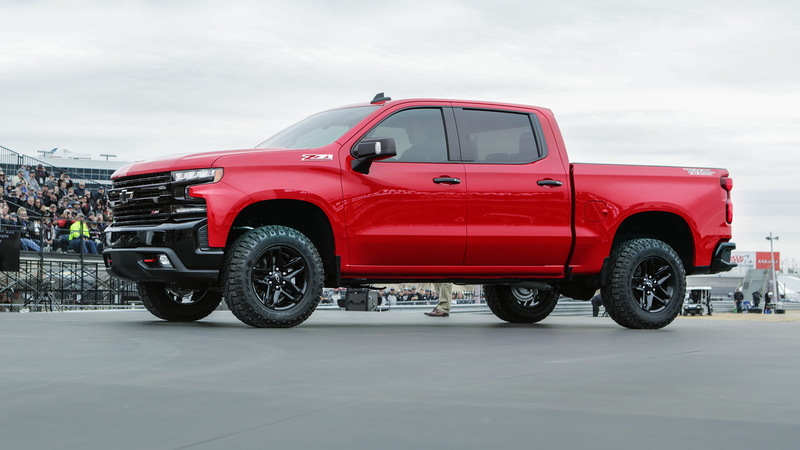 With its factory lift kit, the 2019 Chevrolet Silverado 1500 Trail Boss that debuted Saturday at a surprise event deep in the heart of pickup country has big boots to fill. 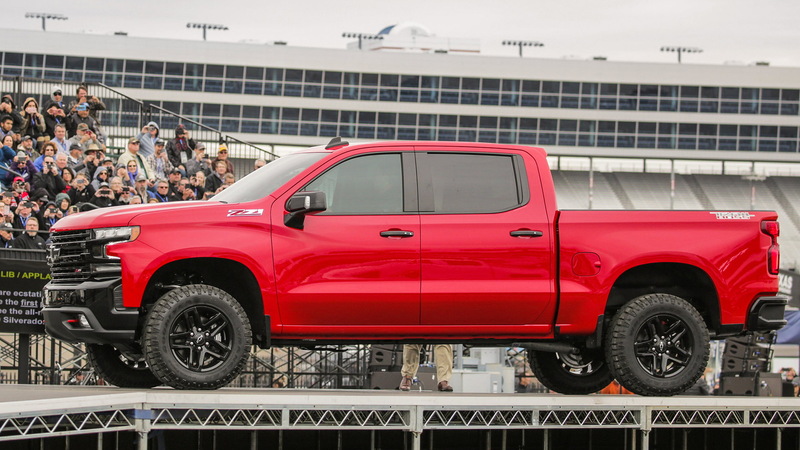 At Texas Motor Speedway outside Fort Worth, Texas, at an event to celebrate 100 years of Chevy pickup trucks, the automaker dropped a bombshell—albeit one without too many details. 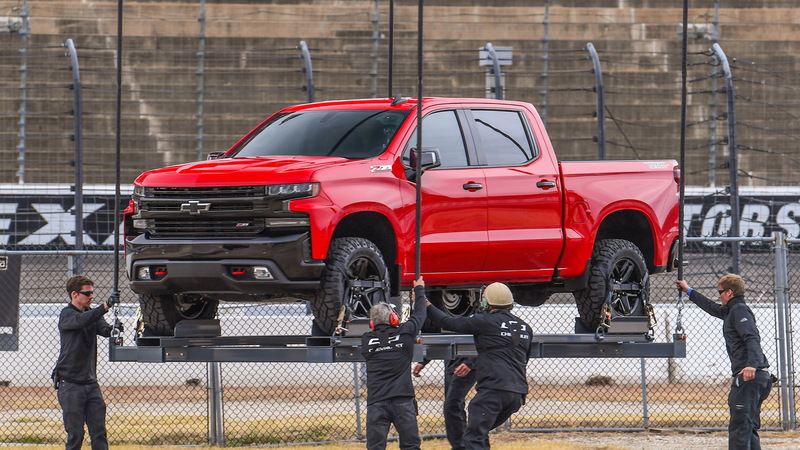 The 2019 Silverado 1500 debuted in a new Trail Boss trim level, one of eight Chevy says it will offer during the new Silverado's first year. The 2019 Silverado Trail Boss may have a typical pickup silhouette, but its detailing is far different from the current, decidedly conservative model. Most notable are its front fenders, which dive into its front fascia. That's a complex casting, but it won't be made out of aluminum as in the Ford F-150. Also, the Silverado's side mirrors have migrated from the A-pillars to the door, a position that should help with visibility and aerodynamics. Big changes occur at the rear, too, where the Silverado has a far more stylized tailgate than its siblings. Its taillights echo the headlights by cutting slightly into the rear fenders. 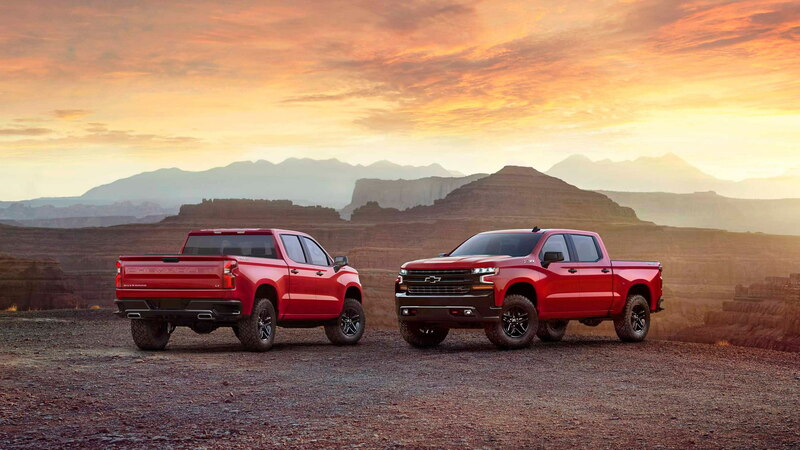 The Trail Boss trim level will sit higher than other Silverados with a two-inch lift from the factory, which puts it an inch higher than the current Ram 1500 Rebel but still far less aggressive than the Ford F-150 Raptor. 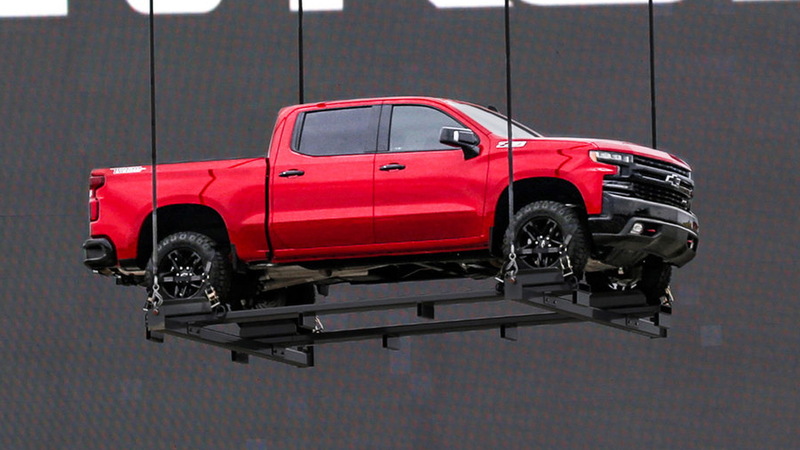 The truck Chevy showed off in Texas rode on meaty Goodyear all-terrain tires and appears to have impressive approach and departure angles for a pickup. Its unpainted front fascia and rear bumper give it a rough and tumble look. Chevrolet will use a mixed material strategy in the 2019 Silverado that the company says will contribute to a "significant reduction in total weight and improved performance in many measures." For example, the roll-formed, high-strength steel in the bed floor will be a higher-grade alloy, which the company says will make the bed more functional and reduce weight. Mum's the word on other details, however, so it's not clear if the Silverado will have new engines or if it will use exotic materials like carbon fiber for its bed. It's likely that we'll learn more early next year at the North American International Auto Show in Detroit. Coincidentally, that's where FCA will take the wraps off of its 2019 Ram 1500 pickup.